My name is Catherine Gothard. I am the owner and manager of The Old Jewellery Box Shop, and it's me who replies to your emails and calls! I also deal with all orders and shipping, so when you buy from us you get a very personal service! There is another person i'd like you to meet, and that is Jim, my wonderful jewellery box restorer! You can meet him just over there, on the right hand side of this page. Jim plays a big part in keeping The Old Jewellery Box Shop running smoothly. He restores, refurbishes and converts many of our boxes, bringing them back to life so that they can be loved and cherished for many more years. I met Jim a good few years ago now, and i've never once been disappointed with his restorations. He loves boxes just as much as I do, and his work ethics are as impeccable as my own. I trust him completely with every box he undertakes! Jim and I have become very good friends and that is because he cares just as much about people, as he does about boxes. Like myself, he strives to do his very best for my customers. You will not be disappointed with any box that has been sympathetically restored by Jim! I would love you to learn more about Jim and what he does, by reading about him in the passage to the right. He has taken the time to talk about himself and his work, in his very own words. I'm sure you will appreciate this just as much as I do! The Old Jewellery Box Shop was established online, back in 2008. We have 10 plus years of experience in our field, and we are also specialists of vintage and antique jewellery. We have accumulated an excellent reputation with both The Old Jewellery Box Shop and our jewellery business. Details of this are on our homepage. We have 10 plus years of experience in our field. You get a very personal service from us as highlighted under our 'Meet The Owner' passage. Please see left. We offer a £10 introductory discount and also run a returning customer loyalty programme. Further information on these are below. We research all of our boxes thoroughly to give you as much information as possible about them in their descriptions. We are never lenient with the truth and highlight any flaws our boxes may have. We describe the condition of our boxes in full. We provide you with numerous photos of our boxes, inside and out, and from several angles. You see exactly what you are buying! We wrap our boxes beautifully in tissue paper and package them securely for transit. We have a wonderful Source A Box service available if you cannot find one that is suitable on our website. Please click the above link for further details! We operate a no quibble 14 day return policy. You may a return your box for any reason if you're not completely happy with it! Please view our returns policy. We have many delighted existing customers, who leave us wonderful comments about their boxes and our service. Read what our customers are saying on our testimonials page! Meet Jim, Our Jewellery Box Restorer! I have had an interest in antiques for as long as I can remember, particularly with old boxes. Over the last 50 years I have amassed quite a collection of these wonderful pieces of social history, far too many to display properly in the house and so many were relegated to my restoration workshop! Following my retirement a few years ago I decided to sell a few of my boxes. This is how I met Catherine, the owner of the Old Jewellery Box Shop. This chance encounter inspired me to acquire more boxes, both to enhance my own collection and for resale. It also gave me the opportunity to return to my love of box restoration. I particularly enjoy coming across an antique box that has been sadly neglected, that is not to say that I do not source boxes that have been much loved and cared for, but I get a real ‘buzz’ from bringing a sad old box back to life. To me each antique box has its own special character and I love the thought of it being used over the years and to muse over who made it, who owned it, and what secrets were kept in it! The unique social history locked away in these inanimate objects fascinates me, and it is a real privilege to extend their useful lives and add to their history. The boxes I restore or convert for Catherine have work done on them which I assure you is done well, and equally important – lovingly. Antique boxes can be a sound investment but that is a secondary concern. The real joy is to own them, display them, use them, and most importantly to love them! In cherishing a box you become another important part in its unique history. We sell antique jewellery boxes from the Georgian, Art Nouveau, Victorian and Edwardian periods, and vintage jewellery boxes from the Art Deco era onwards. Our boxes originate from all over the world. From England, Italy, Japan, China, India, and the Middle East. We research all of our boxes fully to provide you with as much information as possible. Our boxes are made from many materials, primarily woods such as Walnut, Rosewood, Mahogany, Olive Wood and Oak. 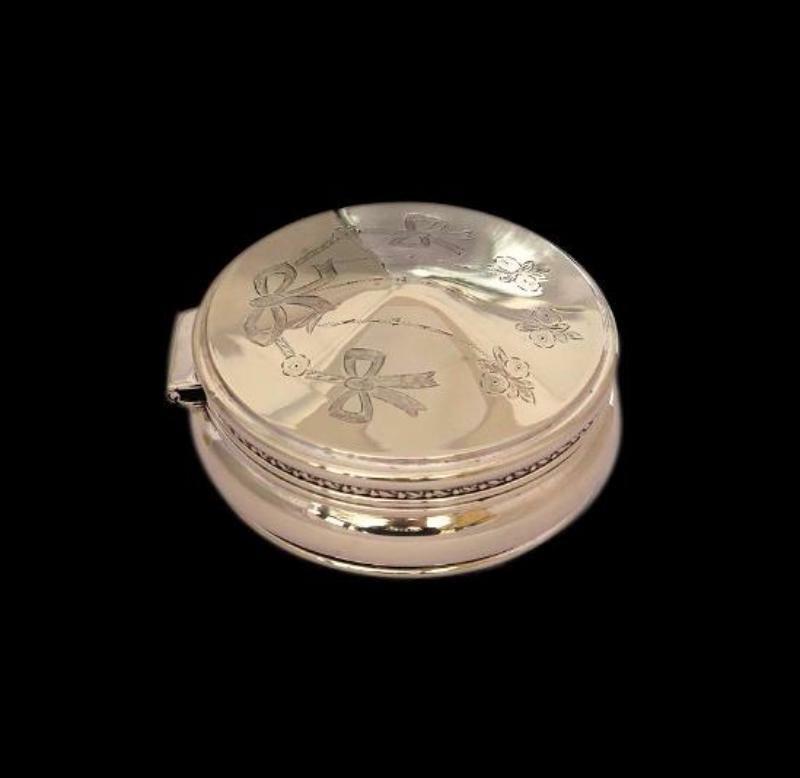 We also sell sterling silver, brass, papier mache, and leather jewellery boxes. We have some beautiful musical jewellery boxes, and others converted from glove boxes and tea caddies. Where necessary our boxes are beautifully restored/refurbished by our trusted skilled craftsman. We beautifully wrap our boxes in tissue paper and package them securely in bubble wrap. They then go into strong cardboard boxes and are further secured with air pillows. We pride ourselves on our careful packaging and have never had a box get damaged in transit! Enter discount code NCD10 at checkout then click recalculate to receive your discount. It's that easy! Your discount code for subsequent orders will be sent to you when we confirm postage of your 1st order. You'll receive this via email. FREE *Next Day Delivery to our UK Customers! Postage to the UK is always free by Next Day Special Delivery or Parcelforce Express 24hr delivery. *We occasionally use Parcelforce Express 48hr delivery if a box is particularly large or heavy. The intended postage services for all of our boxes will always be stated below their descriptions. Deliveries to Europe take 3-5 working days. Deliveries to the rest of the world are 5-7 working days. The cost for International postage is a very reasonable £25. We have kept this as low as possible! Please view our Orders And Delivery page for full postage details. Thank you for taking the time to get to know us! We are very friendly and approachable so don't hesitate to get in touch with any questions you may have! We hope you enjoy your visit with us, and welcome your comments.